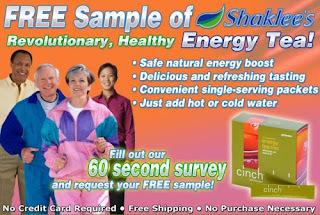 Get a free sample of Cinch Energy Tea. Safe natural energy boost. Refreshing taste. Single serve, just add hot water. Just answer a few questions 60 second survey & submit your information to get your sample.